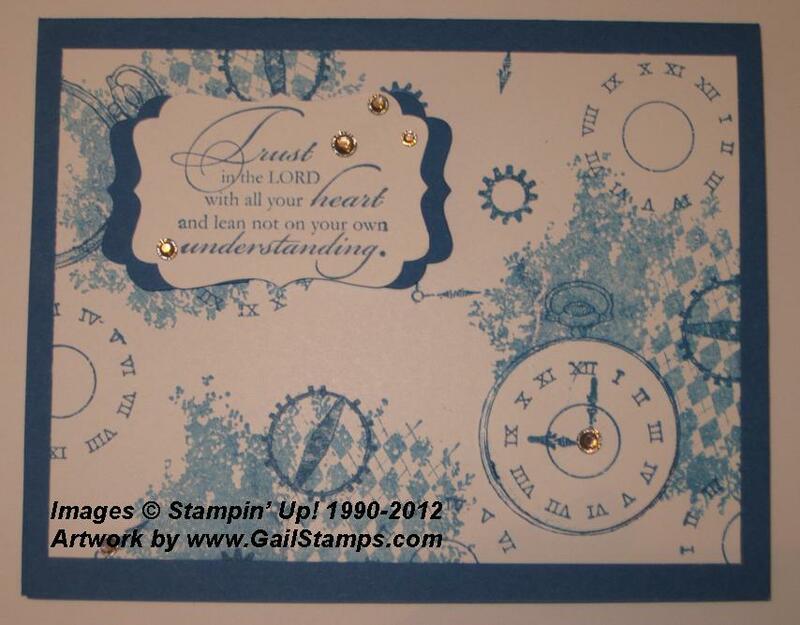 Camp Cards | Gail Stamps! The next card is for my 16-year-old. Her camp team colors are nice & simple – blue & white – whew! She loves collage and vintage images, so I knew this new “Clockworks” set was perfect for her! 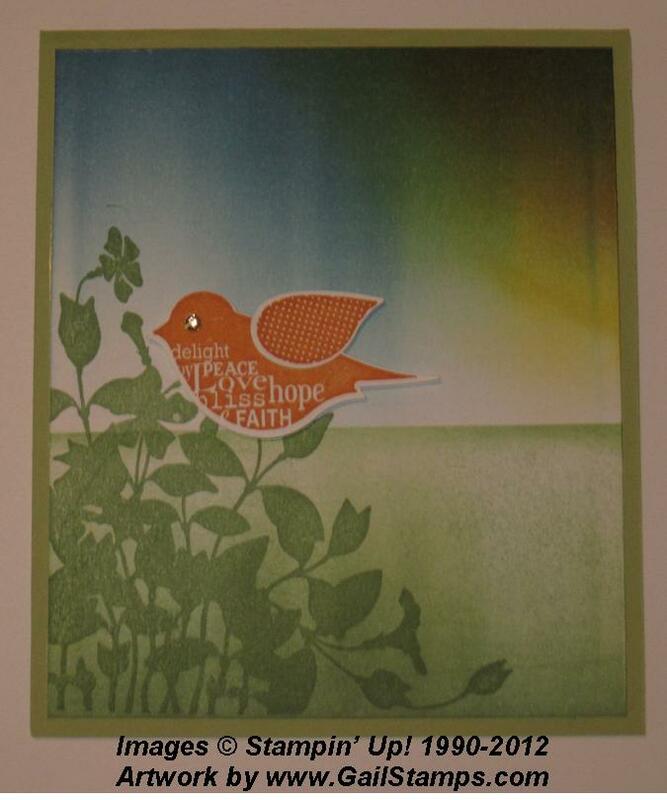 And this last card is for an extra chickie – my sweet 9-year-old niece who’s also up at camp this week. She is ALL girl – pink, purple, bling, frill, if it’s girlie it’s for her! My photography skills leave a LOT to be desired, so you can’t see all the dimension in the flower. 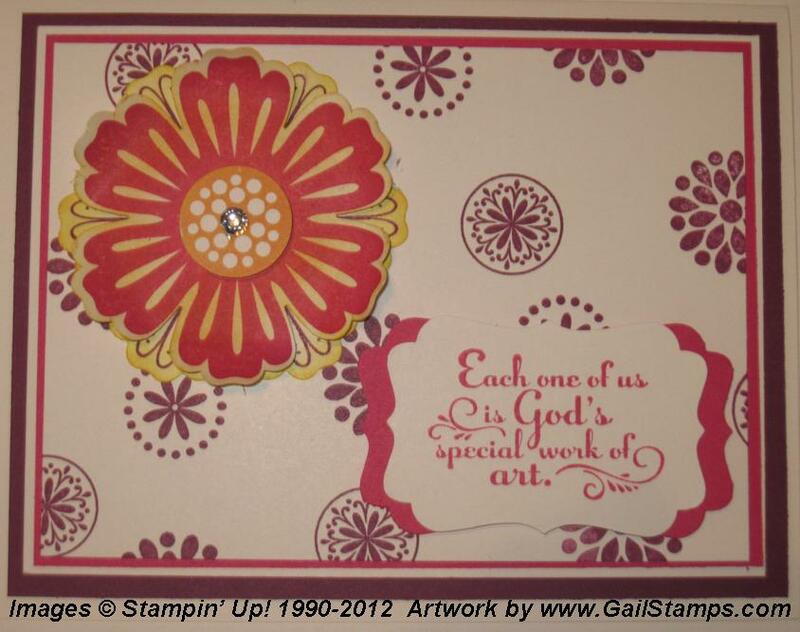 It has 3 layers all separated by Stampin’ Dimensionals, and I curved up the leaves of the Melon Mambo layer with my bone folder. So, those were my afternoon projects. I hope the girls enjoy opening them up as much as I enjoyed creating them!